Wireless for brass and woodwind, bass also. The CenterStage Satellite-100 is a revolutionary compact wireless system designed specifically for instruments (guitar, acoustic guitar, bass, horns, violin, mandolin, or any other instrument with a pickup). With 100 user selectable UHF frequencies, the Satellite-100 offers clear-channel operation with up to 300 ft. range (without obstructions). The mini pedal-size receiver connects directly to your amplifier, interface, pedals, or mixer. For electric guitar, bass, or any instrument with an input jack. 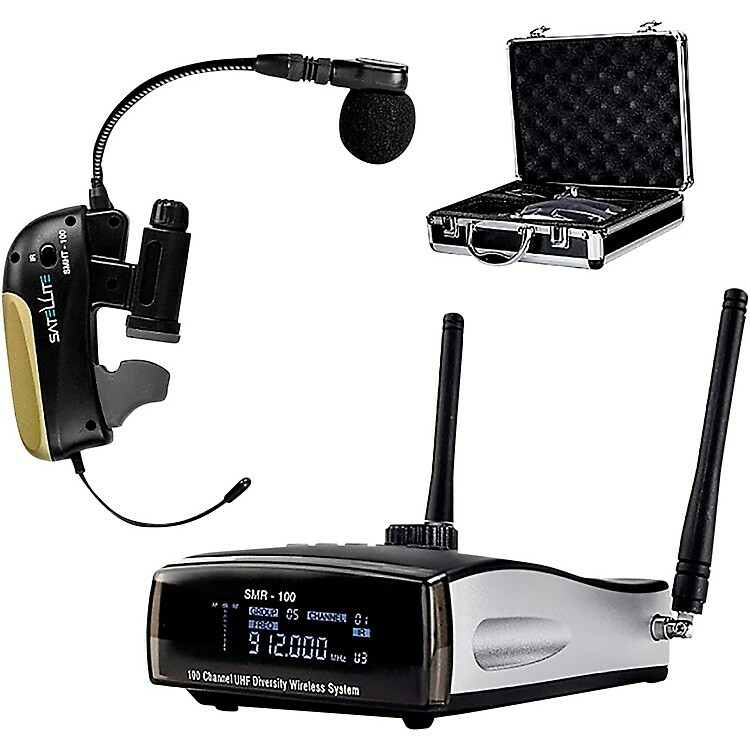 This one features the SMHT-R transmitter for acoustic bass, brass or woodwind.. Inexpensive, reliable wireless for woodwind, brass or acoustic bass.